Warm up your engines and get ready to race like a pro in the Motocross Championship's official game. 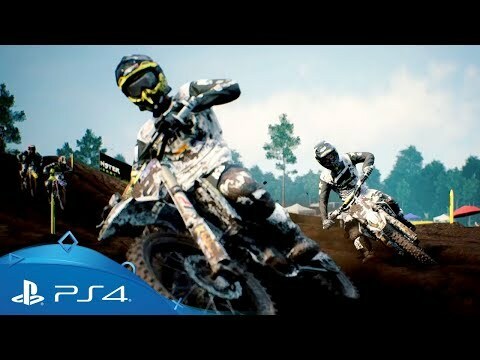 The official video game of the motocross championship is back, featuring new 'Pro Physics', official bikes, sponsors and riders, and boasting the most realistic riding experience in the series' history. Take on the role of a true MXGP professional rider: tune the suspension, adjust your brakes or throttle and build a pair of wheels that matches your unique riding style. Tackle Career mode with your own, custom-designed rider and climb the ranks from the MX2 category, increasing your fame, signing contracts with prestigious sponsors and working to become the next MXGP champion! Try out MXGP's brand-new 'Pro Physics' system, a suite of cutting-edge mechanical features that delivers the most realistic riding feel ever. Expect hard landings, short jumps, suspension that dramatically affects the handling of every bike and clutch control for super-fast starts. Fine-tune your bike's set-up like a real-life mechanic and put everything you know about suspension, braking and throttle mapping into action to push your on-track performance to the max. Compete along pro names in the complete MXGP 2017 season, featuring all the tracks and the riders from the MXGP and MX2, reproduced to an exact 1:1 scale using a brand-new photogrammetry system that captures 3D scans of real-world environments and riders. Explore the boundless possibilities of the compound, a huge training area designed to be traversed freely and where you can hone your skills on massive range of terrain conditions. From the smoothest tracks to the most rugged dirt trails, the compound is the ultimate sandbox for cross lovers of every kind. 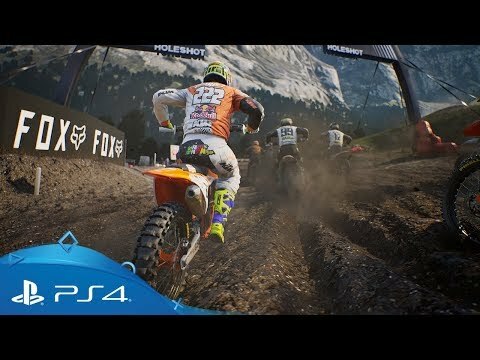 Put your ability to the test as you go up against 30 unique challenges in a dedicated game mode designed to teach you step-by-step the most effective pro motocross techniques and refine them for your own riding style. Looking for speed and adrenaline?